Abrams has boasted about not officially conceding the race to Kemp and even said last week that "I did win my election." She said Tuesday the election was neither "fair" nor "accurate," although reporting belies her account of being cheated. 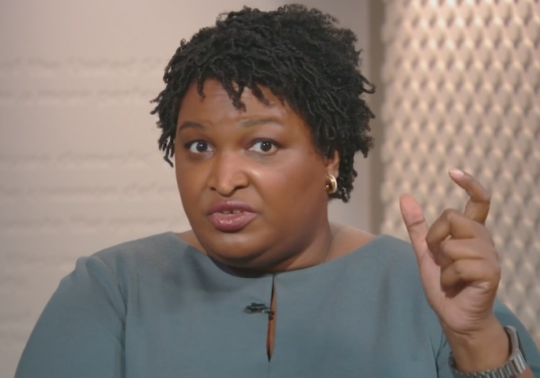 "I don’t concede that I lost," Abrams said on Tuesday. "I acknowledge that I’m not the governor of Georgia. That’s made plain every day I don’t walk into the Governor’s Mansion." She also said she didn't care for Kemp personally and encouraged people to vote, even if out of spite, according to the Tennessean. "I do not like Brian Kemp. I do not want him to fail. Yet," she added. "As governor, during his four years of service, I do not want him to fail, because that means he's failing the people of Georgia. My success cannot come at their expense."